It's 2019 now the old school ways of advertising doesn't work at all that used to work 5-6 years. 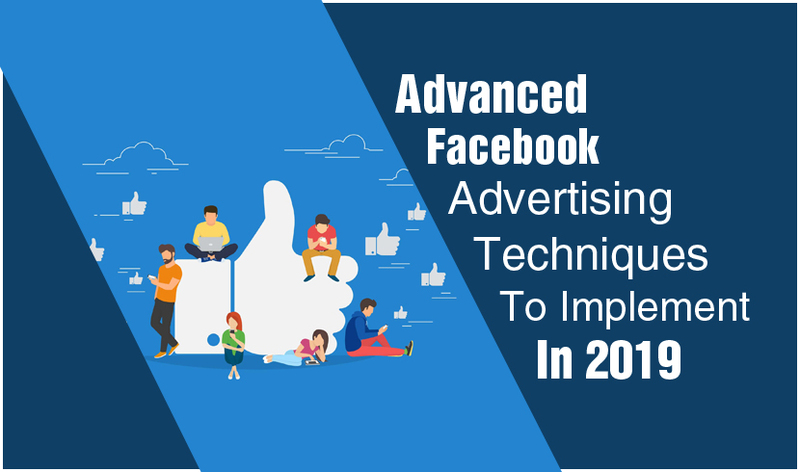 If you want to gain mastery in Facebook ads in 2019 you have to be very creative, out of the box and you need to create campaigns more intelligently with smart targeting methods and criteria if you want to win the battle from your competitors. Using certain tricks and hacks you can derive a big value from Facebook Marketing and achieve your desired business ROI. 1) Align your goals with your marketing strategy: This it the first and foremost thing that one must keep in mind while starting a Facebook campaign. If the goal of your brand is brand awareness better opt for brand awareness or a facebook page likes campaign. If your aim is promoting an event you can better opt for an event responses campaign. Well if you want sales and ROI for your business it's very much wise to choose conversion or a lead generation campaign. 2) Use Analytics Wisely: There are several paid tools to understand the in-depth social media analytics like buffer and Hootsuite through these tools you can understand the behavior of the audience on your page with demographic targeting too. Through these, you can understand when your audiences are more active so you can make your post timings accordingly. 3) Utilize The Power Of Video Ads: Video 90% of the engagement as compared to image text ads with a higher chance of conversion too. So creative videos play a key role in boosting your audience engagement. So here are some of the tips to make video ads a huge success. Video Length: The video should be of at least 15-30 seconds. Shorter video increases the chances of watching the complete video and having a CTA at the end of the video also boost the conversion rate. Thumbnails: People usually ignore this element but if you keep an engaging thumbnail it well definitely compel people to watch the video. Video format: It's important to keep videos in the square format rather than an original format to attract more views. 4) Use Carousel Ads Effectively: If you want to sell multiple products use multi-purpose carousel ads where customers can scroll to view your products. These ads reduce costs and boost the CTR of your ads performance. 5) Utilize Facebook Offers: Facebook recently got the option of creating an offer post where you can create you can create an offer post to your target audience to boost your product sale when you offer a discount. 6) Leverage Facebook Marketplace: This feature was launched by Facebook in October 2018 where you can sell the products openly in your targeted community free of cost. 7) Use A Custom Call To Action: Facebook ads now provide the option of custom call action in a simple format you can use the relevant call to actions as per your product/service to boost your sales. 8) Target Your Previous Website Visitors: In the custom audience section you can target people who have visited your website previously by selecting all visitors or if you want to target some specific web pages you can select add specific webpages you can create and include these lists while creating a campaign. Facebook has also provided the option of customer list remarketing where you can show ads to those people who have subscribed to your website by uploading the email ids of people in an excel file. 9) Behavioral Targeting: This is one of the premiere targeting criteria if you want to reach your target audience for eg if you are an e-commerce store you can use purchase behavior related to particular products under behavior targeting criteria. 10) Use Income Targeting: If you are selling expensive products you can select income targeting under the demographic targeting where you can target respective income groups to a wide range. With the introduction of new technology and techniques Facebook Advertising has undergone a big change with a huge audience in Facebook, it has become easy for the advertisers to target them on the basis of their interests or behavior which has made Facebook a cheaper advertising option as compared to other platforms. That's why ROI on Facebook campaigns is much higher as compared to other social media. Among the top digital and performance marketing agencies in Delhi NCR, we have been providing marketing solutions to companies from across the globe. To make real difference to your business, get in touch with us today! Call us at Tel: +91-721 7894 696 or email at sales@digitaloye.com to talk to our experts.